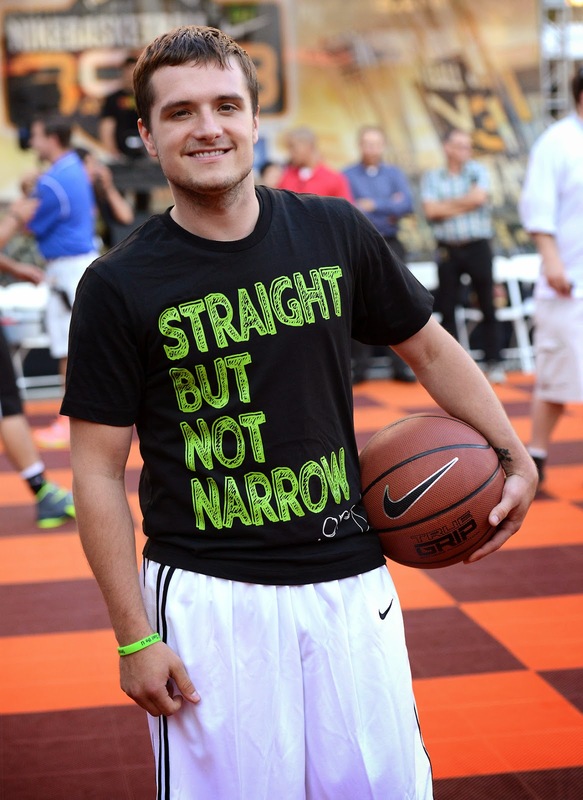 Josh Hutcherson's annual celebrity charity basketball game for his charity, Straight But Not Narrow was held on Friday August 8th at the Nike Basketball 3ON3 Tournament at L.A. Live. 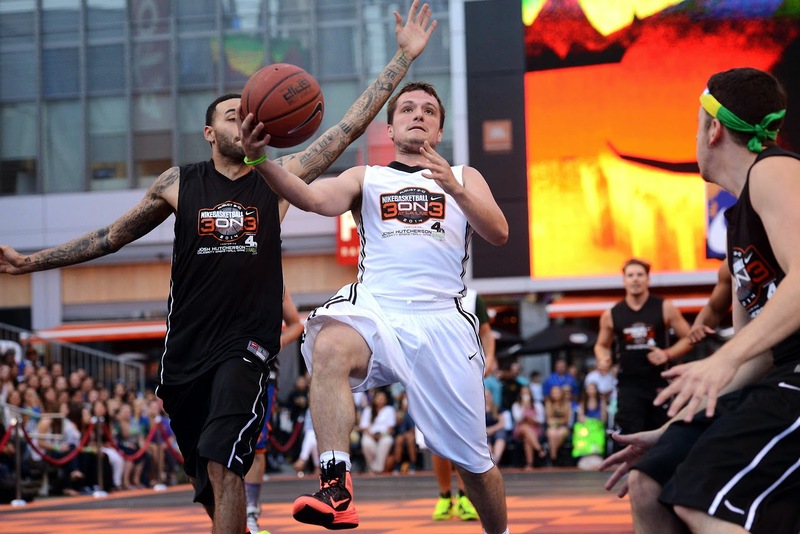 Fellow celebrities, including actors Clark Gregg, Kyle Massey, Romeo Miller, Christopher Mintz-Plasse and Mockingjay co-star Wes Chatham also showed their support and took part in the game. 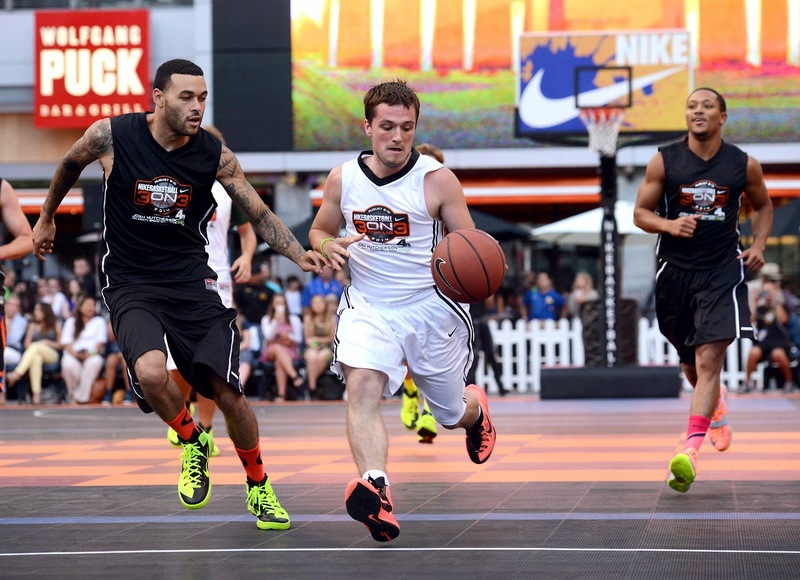 Josh's Team (Team White) won the game with a final score of 78-55. 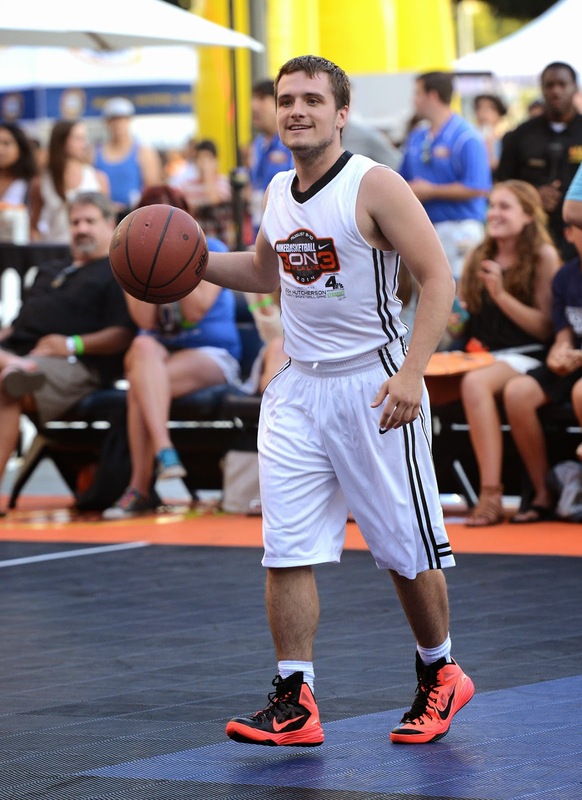 Josh was later hailed as the MVP. 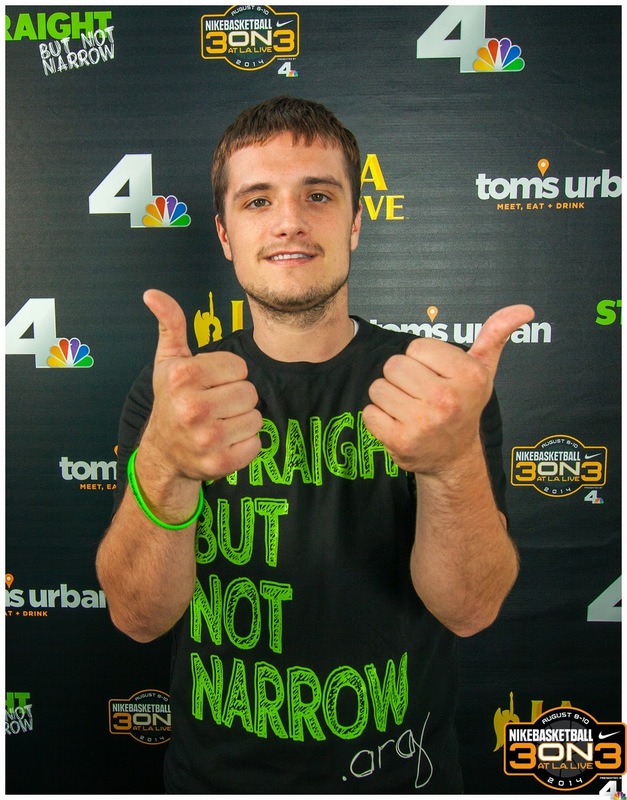 Raising more than $37,000, this is also the most successful event in the 3-year history of Josh's Celebrity Basketball Game for SBNN. 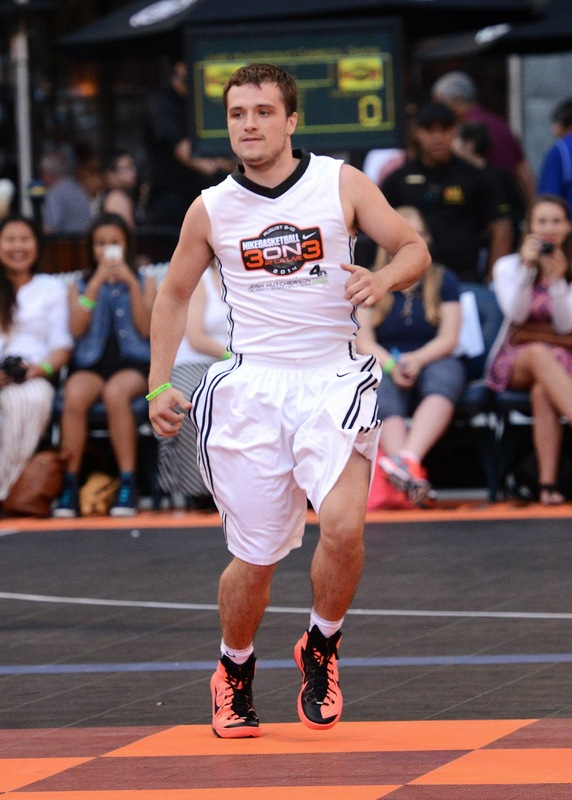 Check out photos and videos of Josh at his 3rd Celebrity Basketball Game event where he also shows his pretty awesome dance moves. 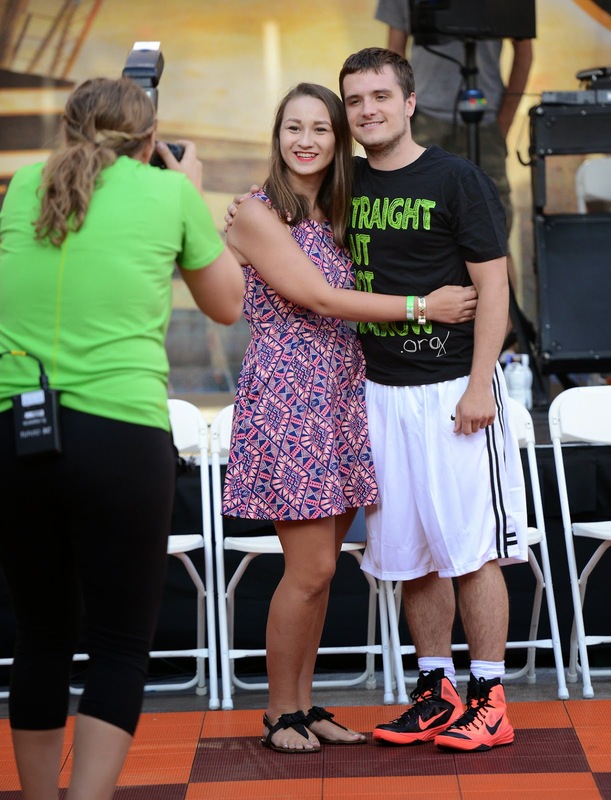 Josh Hutcherson starts dancing at 2:47 mark.